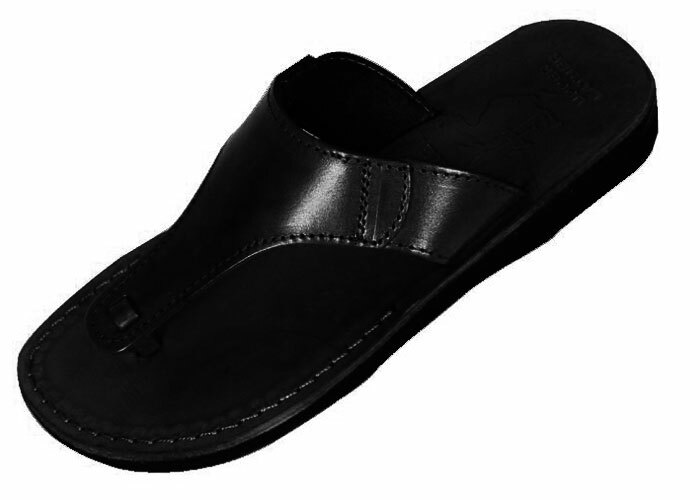 Wide Y-strap flip-flop biblical sandal by Camel Sandals is handcrafted from 100% real leather. Camel Sandals' original biblical sandals are inspired by leather sandals that have been discovered at Israeli archeological sites dating back 2000 years or more! But classic styling and comfort never go out of style. These comfortable, handmade leather sandals are designed to be worn almost anywhere. Camel's biblical sandals are handcrafted and built to last. The leather sandals in Camel Sandals' collection all feature sturdy, thick leather uppers and arch supports that are molded to the natural shape of the foot. Skilled craftsmen working here in the Holy Land hand-stitch and glue the fine leather uppers to real rubber soles. All models - whether lightweight and fashionable or sportlike - can be made to order in men's, women's, and children's sizes.